Boston power/thrash veterans MELIAH RAGE have a new vocalist: they have added Marc Lopes to their ranks. This will mark the end of the nearly 2 years of downtime for the band: they are currently working on a new album, "Warrior", to be released this July, and getting ready to play some shows. Paul Souza sang on "Dead to the World" (released in July 2011) and did a good job, but he was not a real band member, therefore the group hasn't played a single show in support of their last album. Definitely not a good situation, so we are very happy about this change and fully support their decision. "We knew a lot of the same people and decided to have Marc come in and work with producer Rich Spillberg. We are all very excited to work with Marc. 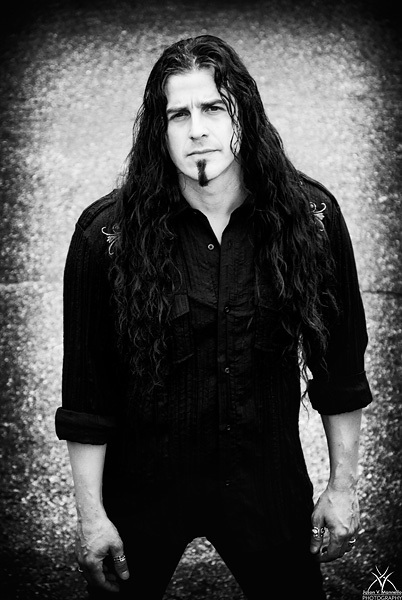 He is a talented vocalist and highly motivated to write, tour and record with MELIAH RAGE." We've had a chance to listen to one MELIAH RAGE song with Marc on vocals - actually this song will be soon released on our next compilation CD "Compendium of Metal Vol. 6". Marc recorded his vocals during his second meeting with the band, and after having heard the song (recorded during the 2011 sessions) for the first time only the previous night, so it was quite spontaneous, especially considering that he also had to write the lyrics within this short time. In spite of these stressful circumstances he did great, and because of this we are positive he will do even better on the album, which, according to Anthony Nichols, will be more aggressive and less melodic than the last one. Marc Lopes, who hails from New Bedford, Massachusetts, is currently involved with a few other projects including DARK DAY SUNDAY, featuring guitarist Frank Aresti (Fates Warning, Arch/Matheos...) and drummer Jason Bittner (Shadows Fall, Toxik...), HELLSPEAK (also with Bittner), and the '80s metal tribute act METAL:101 (New England), covering live songs of bands like Iron Maiden, Slayer, Metallica, Accept, Anthrax, Metal Church, Judas Priest, Motorhead, Megadeth, Lizzy Borden, Loudness, Helloween, W.A.S.P and others.